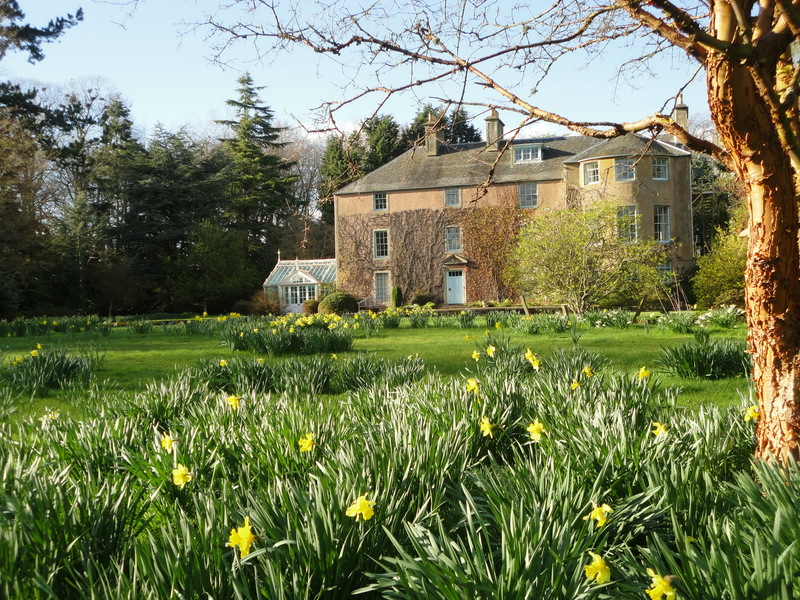 Following on last year’s success, a second Scottish Daffodil festival will be held at the Rossie Estate, By Collessie, Near Ladybank, Fife. KY15 7UZ on 14th and 15th April 2018. 10am – 4pm both days, free parking. Partial disabled access only, steps and uneven surfaces, due to the age of the garden, baby change facility, assistance dogs only in garden. Come and see a wide variety of heritage and modern daffodils, spring bulbs, scented daffodil walk with carved bears from a fallen oak for little ones, Nature Quiz, 9 hole putting, daffodil walk to Covenantor’s hidden woodland tomb, National Collection Narcissus Backhouse cvs. The catalyst for the Festival. The Backhouse Heritage and Education Centre – display and information. 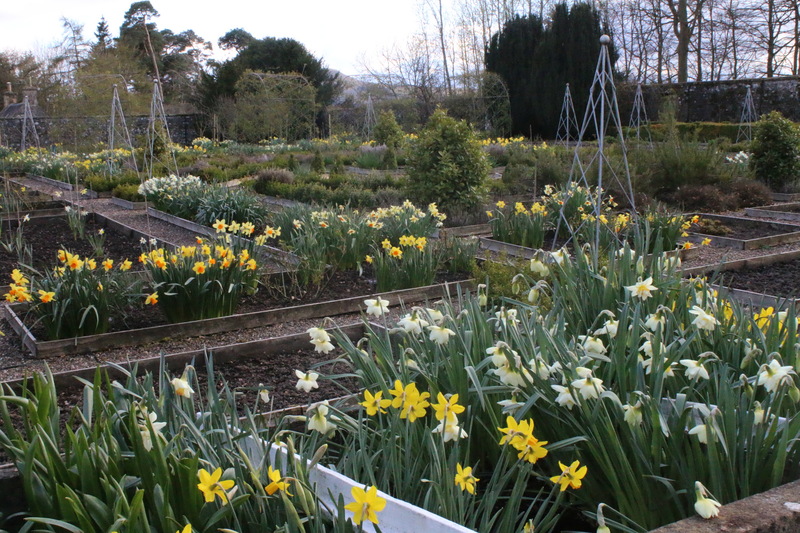 Talks, stalls, and displays of show bench and garden worthy daffodils. 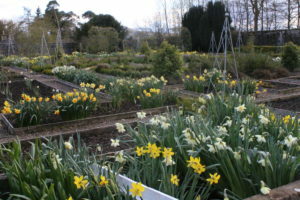 Find out about the connection between drugs used in Alzheimer’s and daffodils, learn more about the history of daffodils and the wide range of varieties and characteristics of historic and modern daffodils. Festival Café with soup and sandwiches, dish of the Festival, teas, coffees, and tasty cake and scones! George Anderson MBE TV gardening personality and daffodil expert will be the VIP guest of honour. Christopher Trotter food ambassador, author and amazing chef with a vineyard at his home in Fife, will give a demonstration and have delicious things for sale. Elmwood College, experts in horticulture are here to talk to budding students about a career in horticulture. Grampian Growers with their wonderful field grown cut flowers which fill the tent with scents will be here for commercial growers to talk to – they supply the daffodils for the Maundy posies the Queen and her entourage carry at the annual Maundy church service.